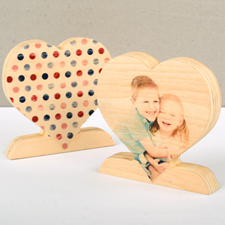 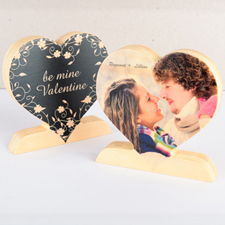 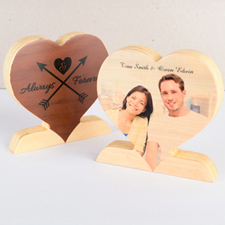 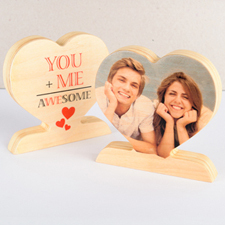 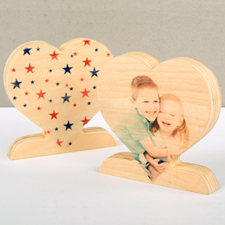 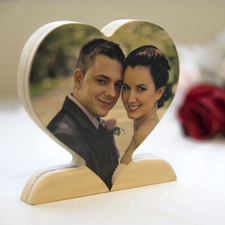 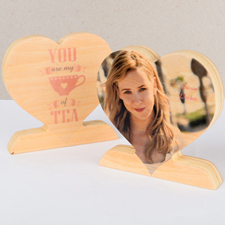 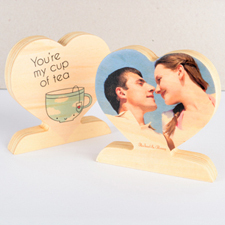 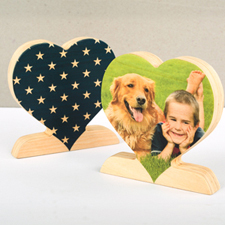 Have your photos printed onto these charming Wooden Photo Heart Decors, which is a more novel and timeless alternative to a standard photo frame. 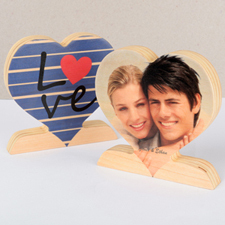 Each wooden décor is unique to you, because of the natural wood that is used so that no two decors are the same. 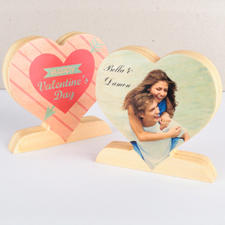 The piece is heart shaped with a flat base on the bottom so that it can stand upright. 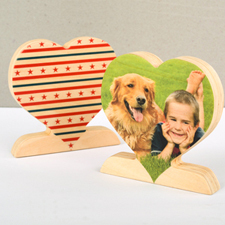 You can have up to two photos, one for each side of the décor, or add a graphic, message or pattern on the other side. 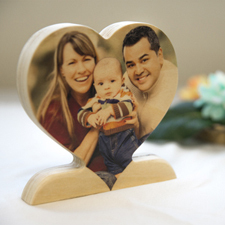 Simply drag and drop your photo or graphic in our easy to use online décor builder to have your photos printed in rich and vibrant colors onto these astonishing pieces.